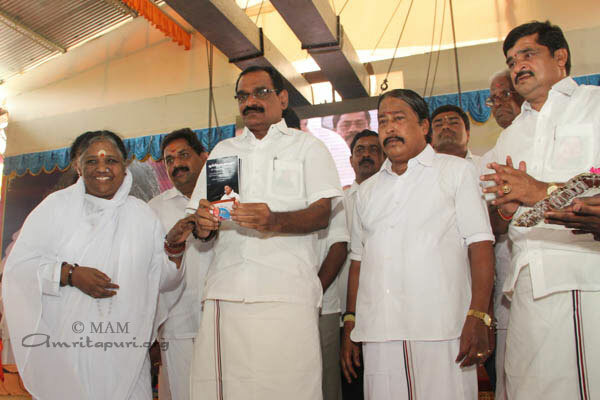 On the first day of Brahmasthanam festival, the guests of honor on the stage were: Trissur Municipal Corporation Mayor, IP Paul; Trissur regional IG of Police S Gopinath (Indian Police Service), P Jaykumar, Managing Director of Dhanalakshmi Bank. 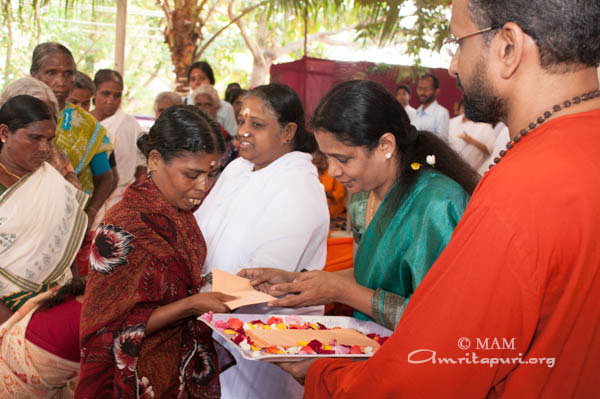 Amrita Nidhi pensions were handed over to new recipients, as well as the distribution of working capital to Amrita SREE self-help groups. 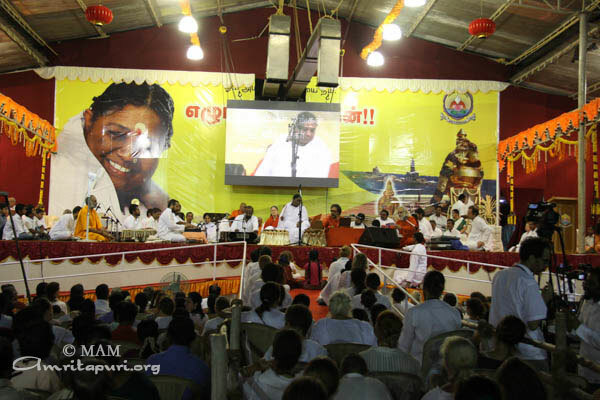 After that Amma held a long session of bhajans, gave a satsang and led prayers and meditation. 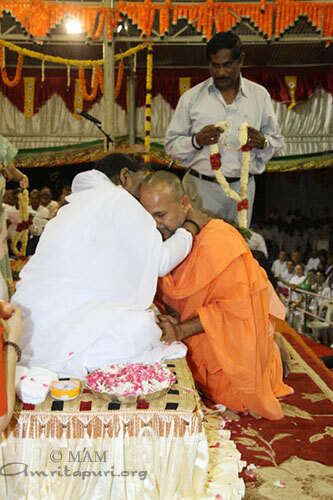 This was followed by darshan. 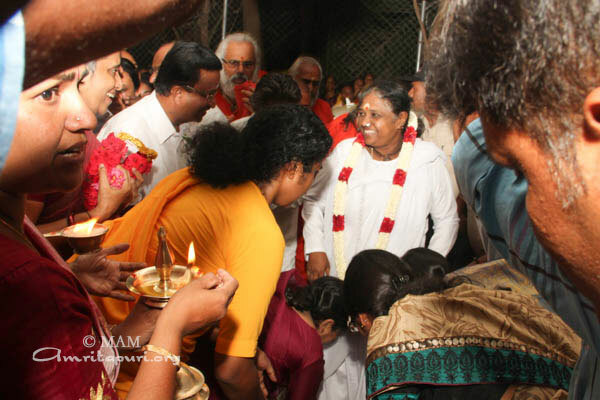 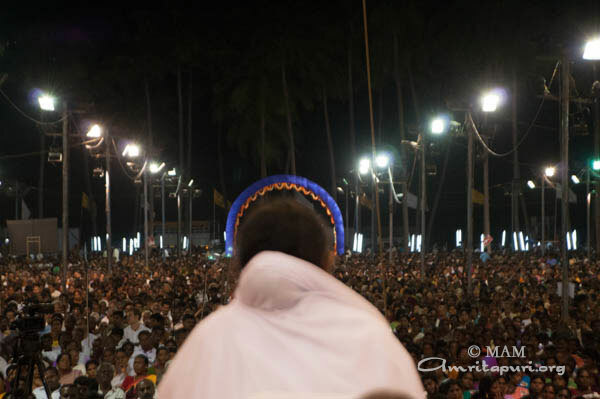 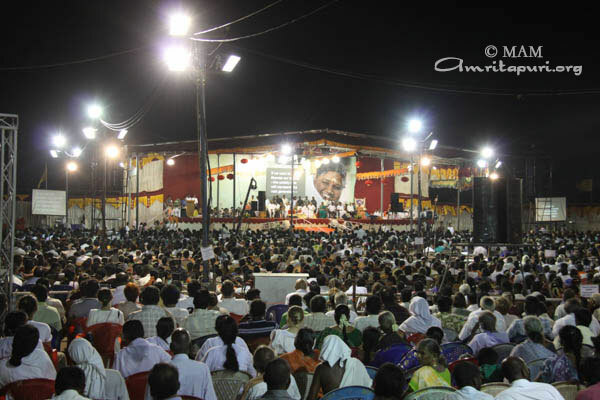 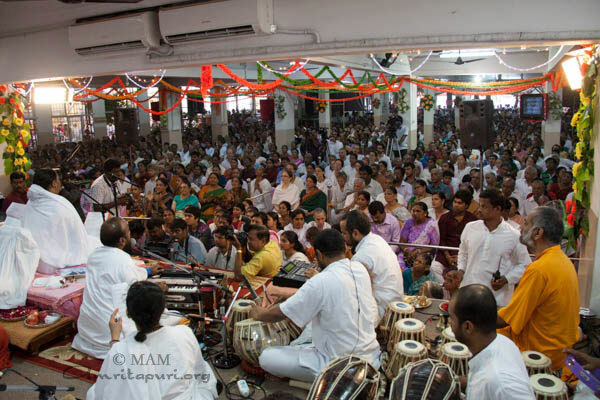 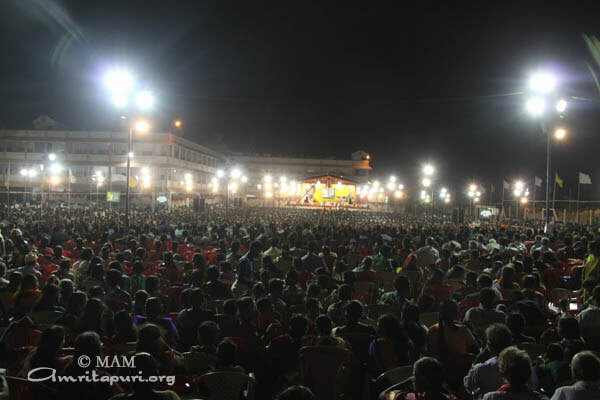 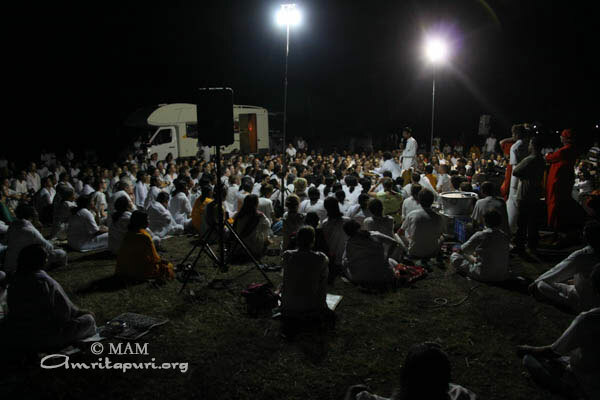 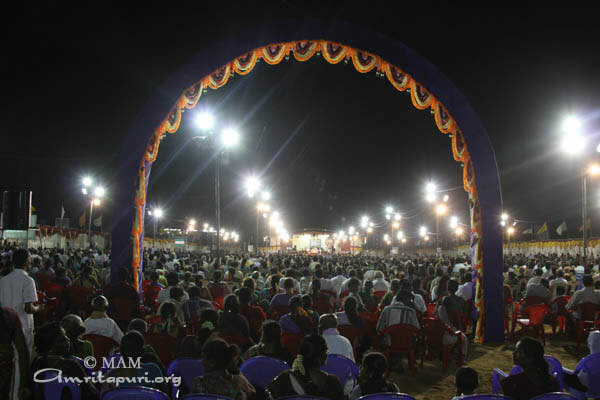 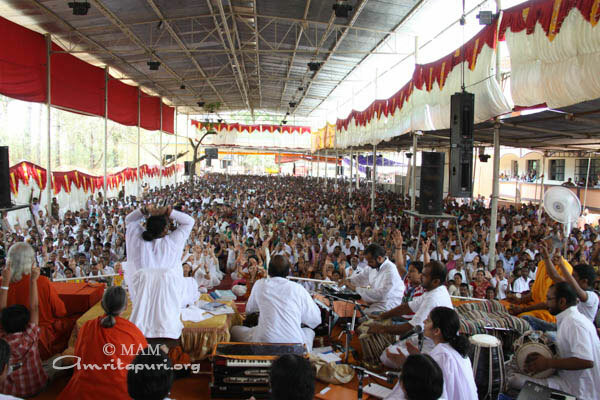 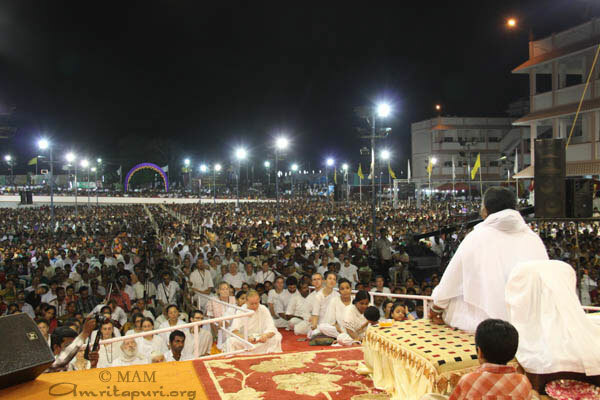 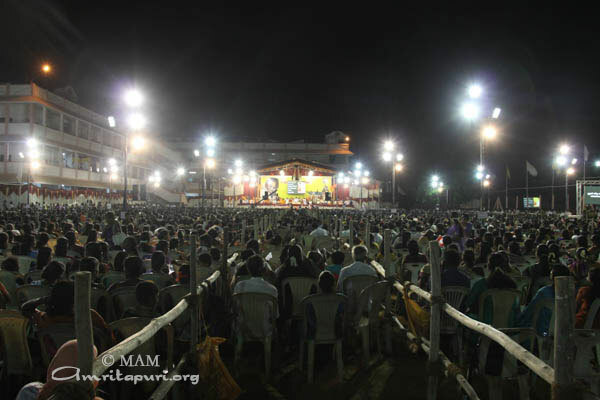 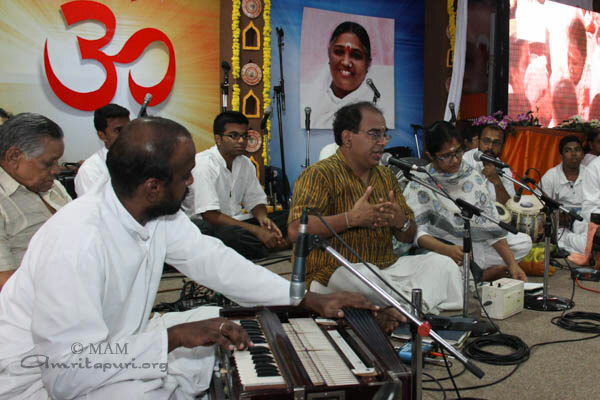 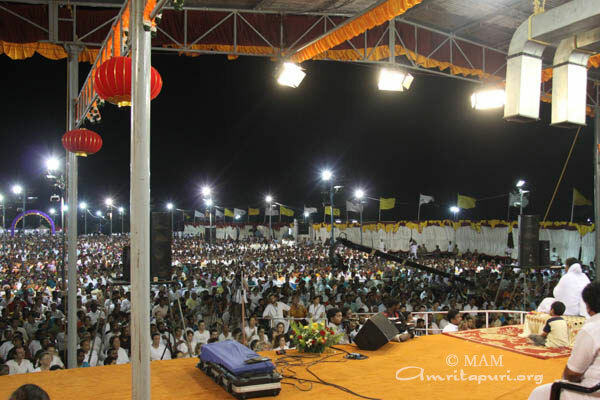 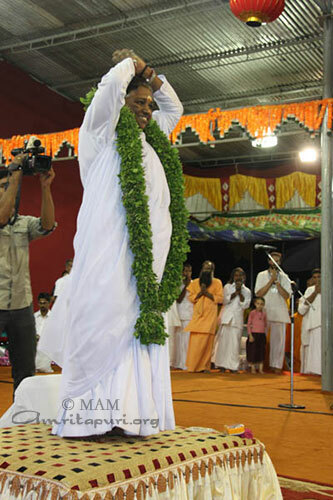 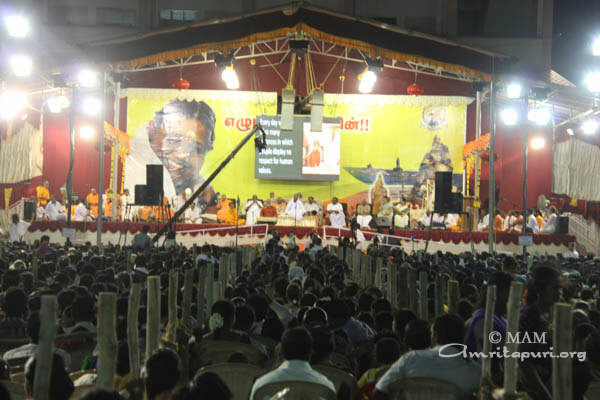 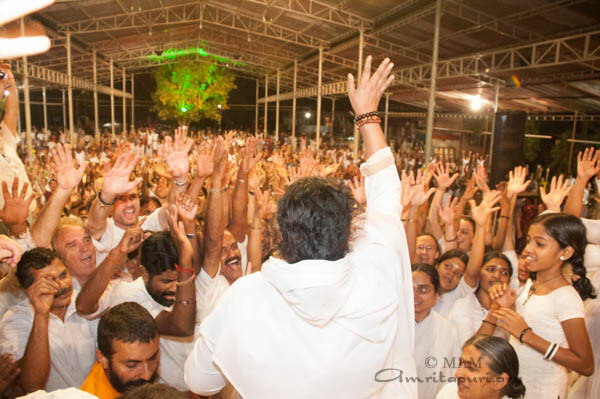 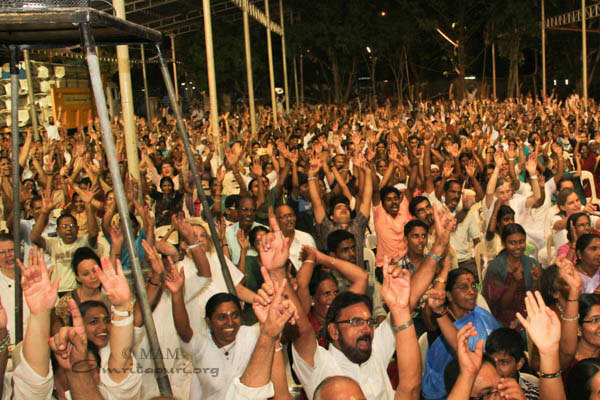 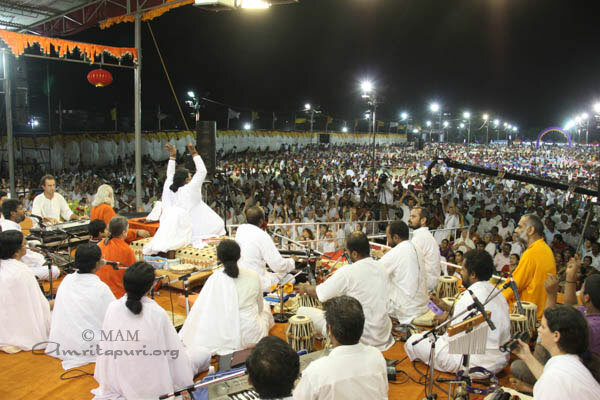 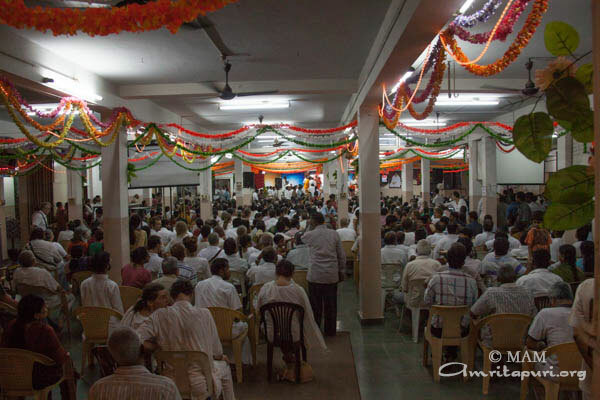 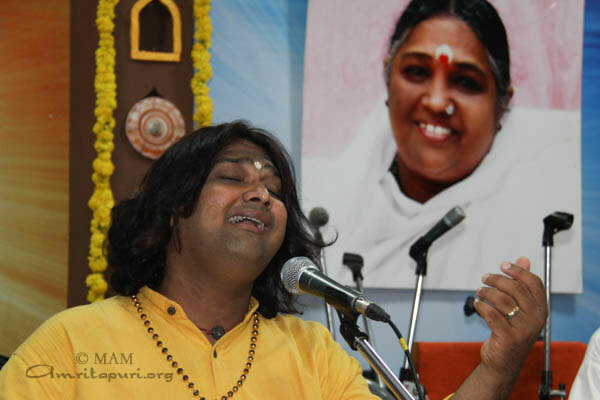 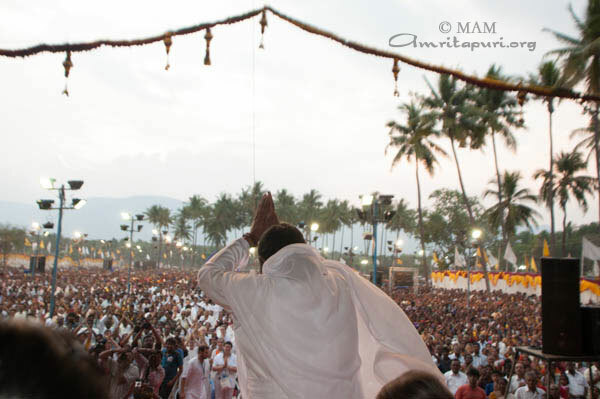 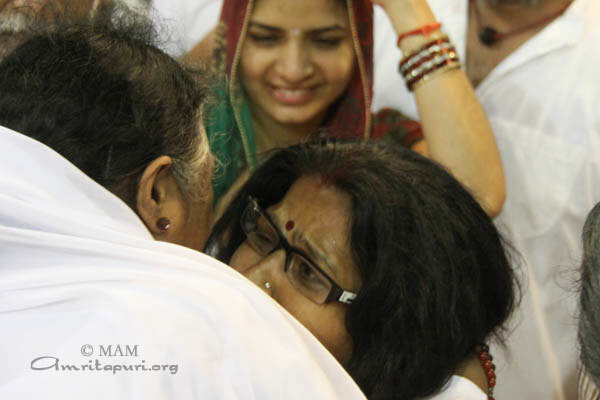 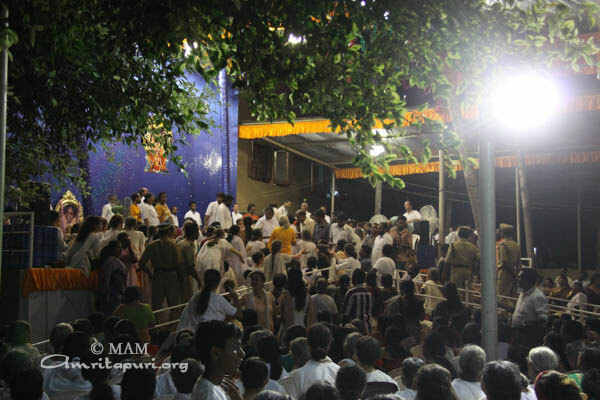 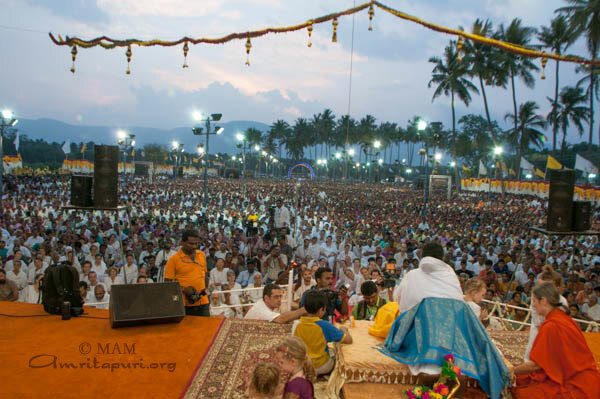 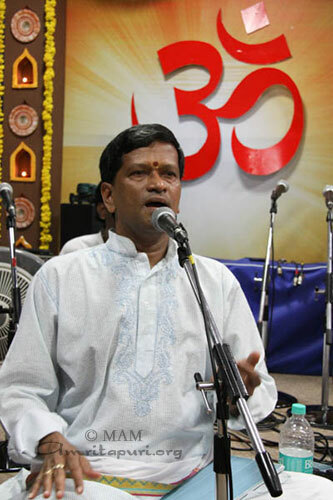 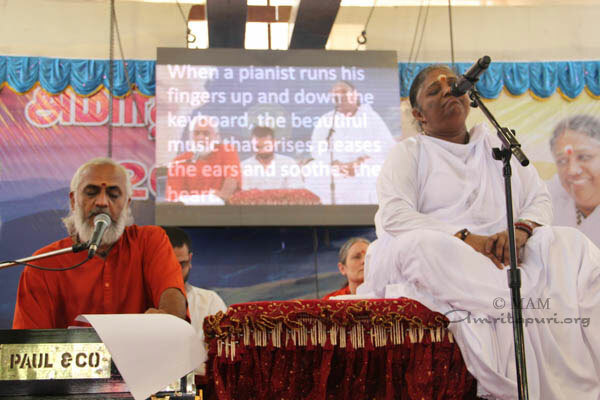 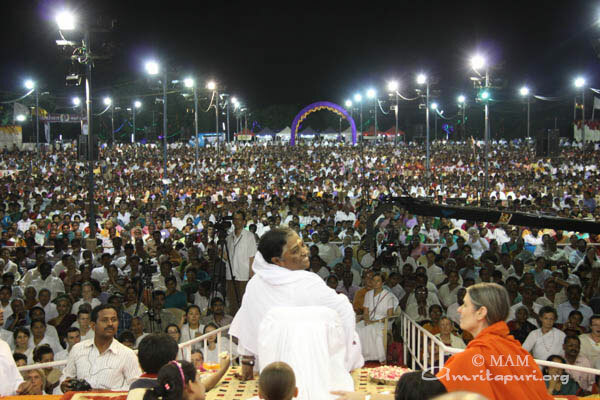 On the second day, darshan ended at 4am, with Amma singing bhajans to the great delight of the devotees. 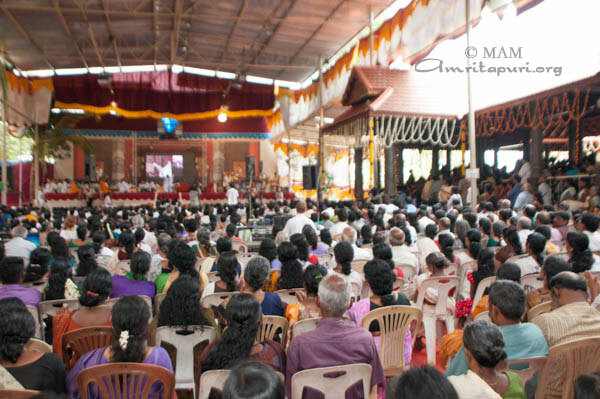 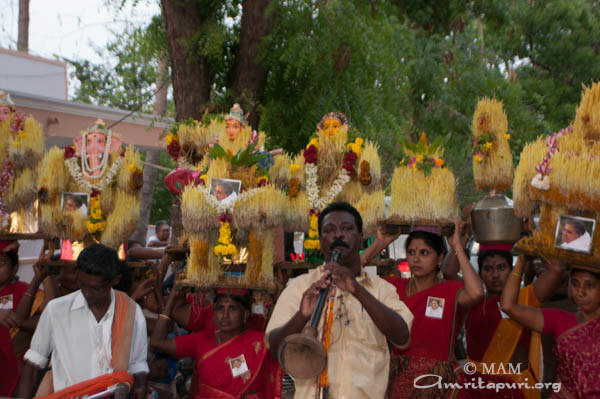 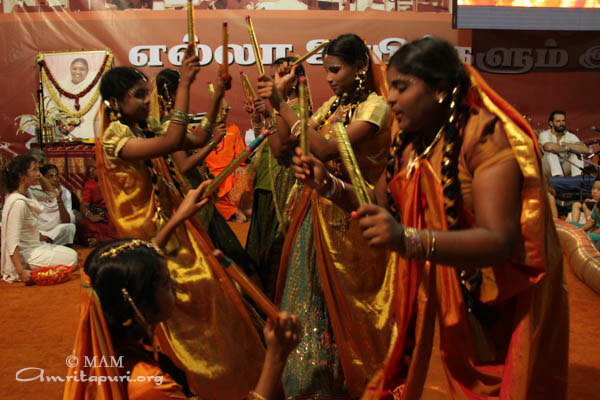 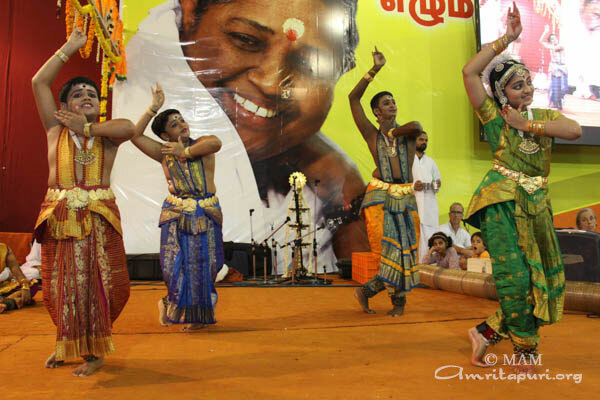 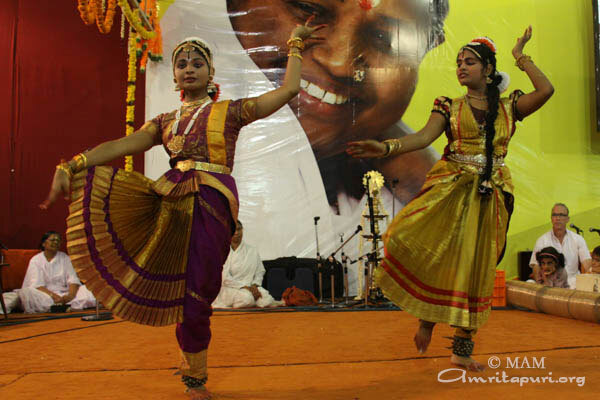 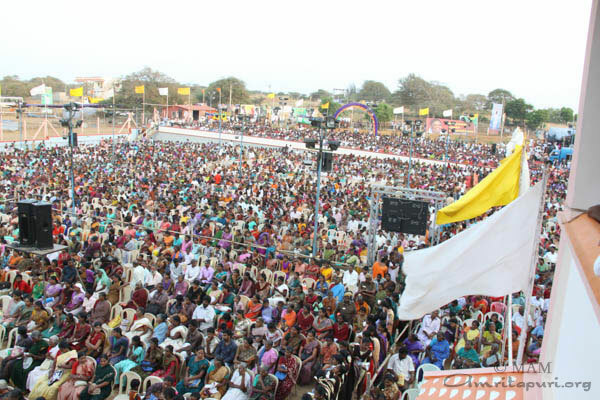 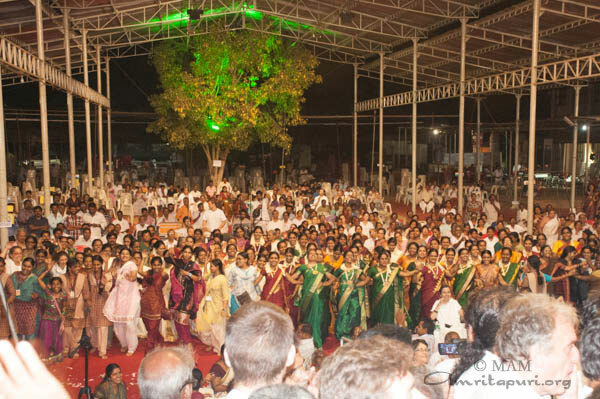 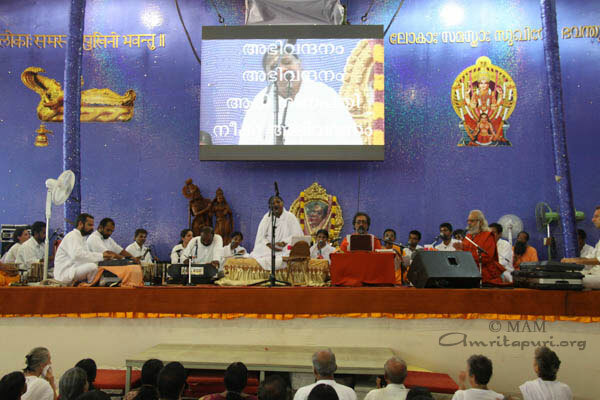 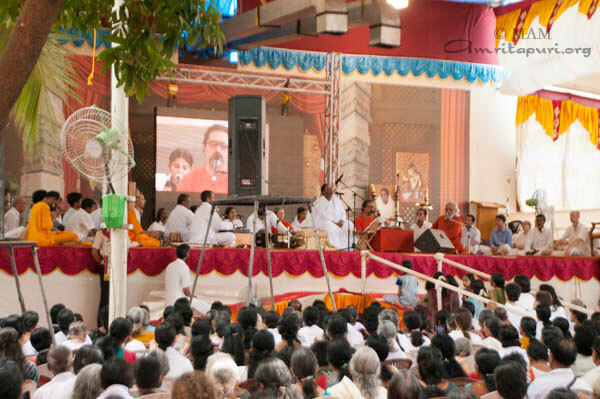 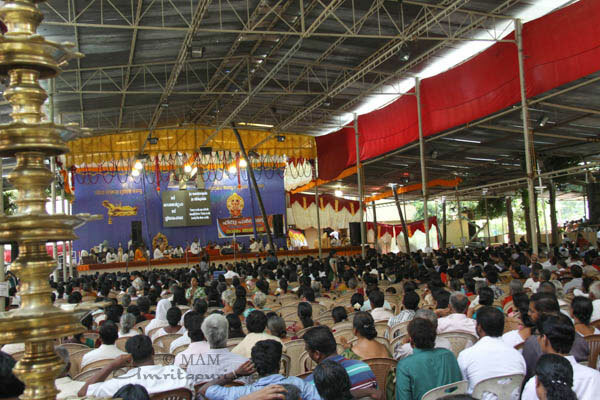 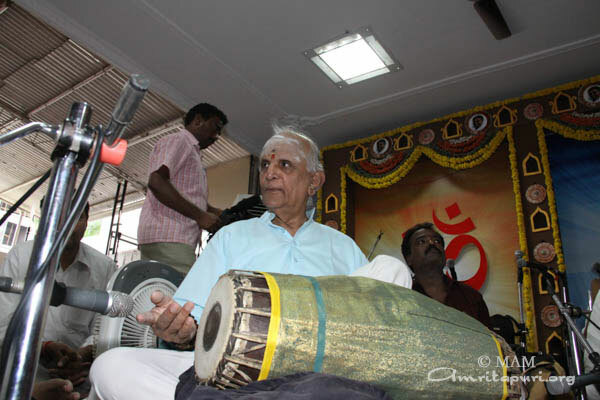 A space was cleared in front of the stage and many of the local ladies, dressed in their finest saris and with their hair decorated with flower garlands, danced in unison to Amma’s song. 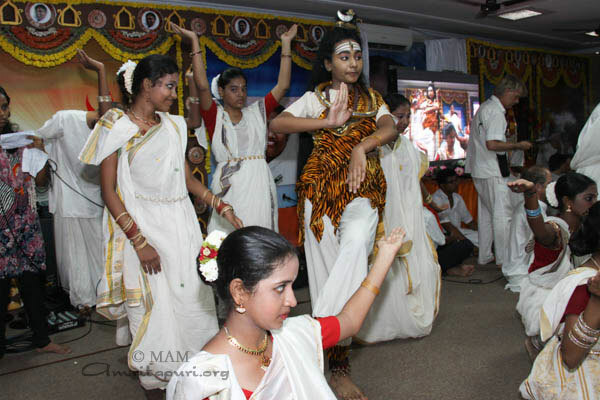 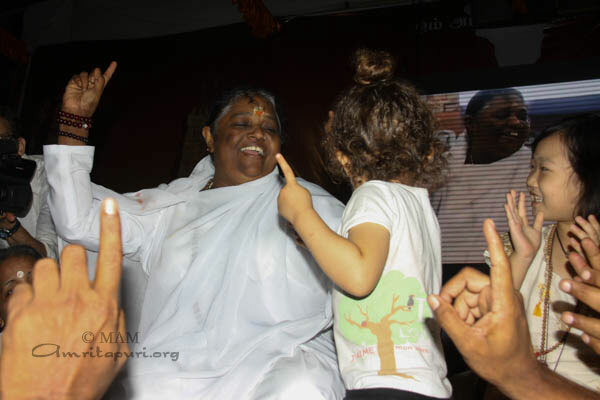 Their faces were visibly shining with joy as Amma guided their dance from her peetham and made some of the motions along with them. 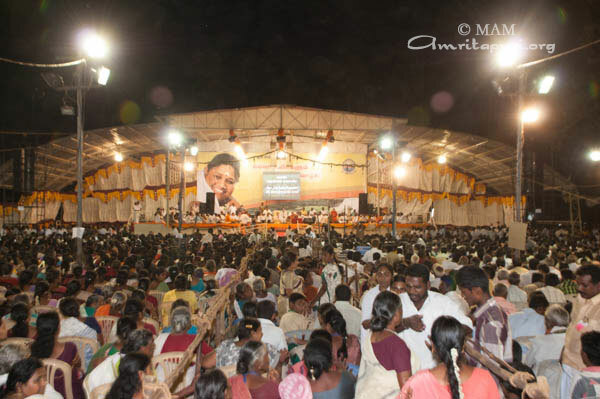 Earlier upon her arrival form Ernakulam, she walked to the unfinished stage and, just as happened in Ernakulam 3 days before, she invited all the people present to get their dinner from her hands. 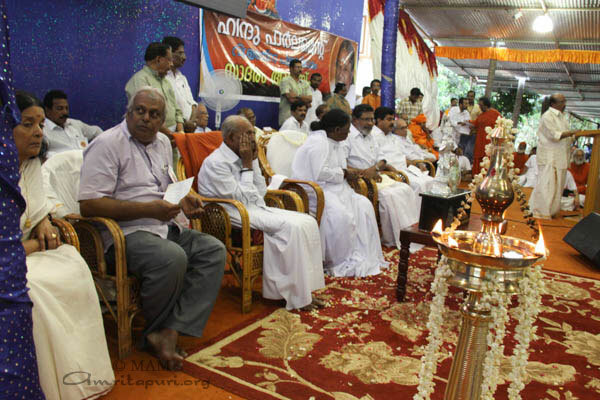 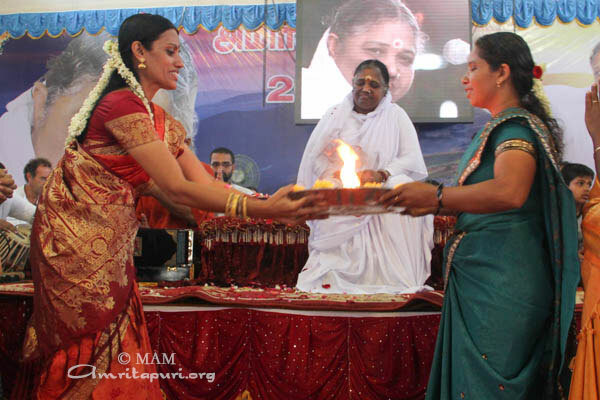 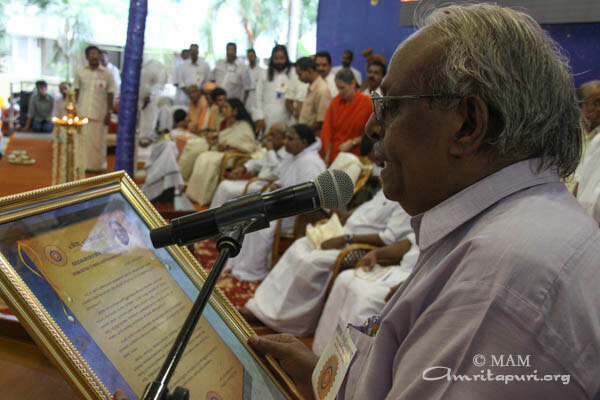 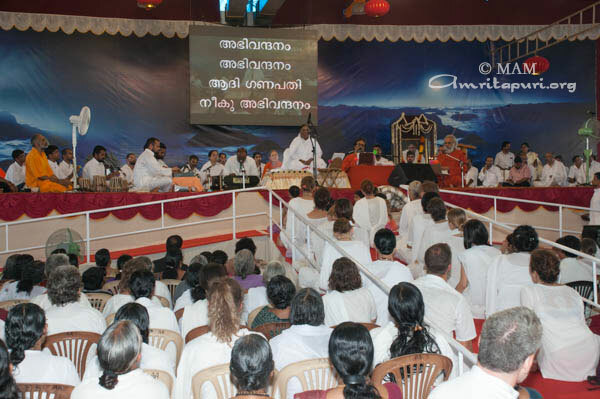 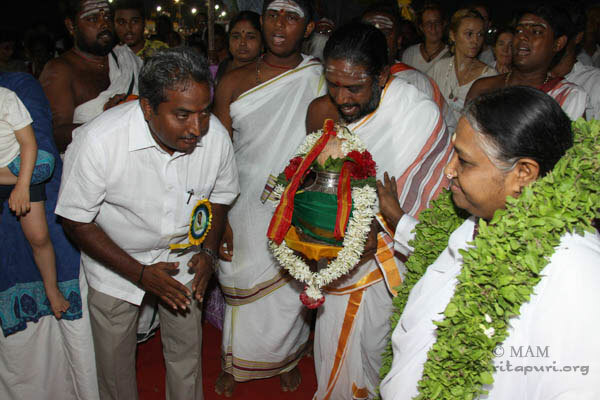 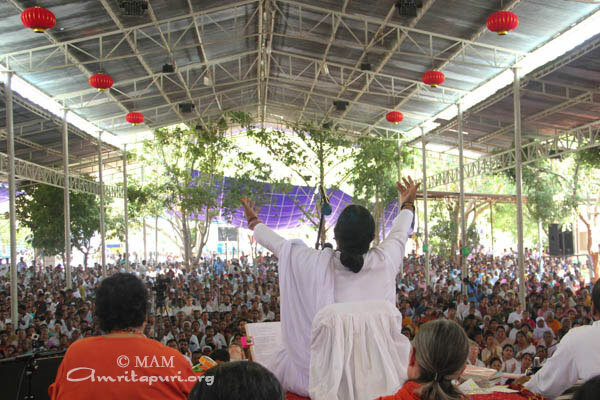 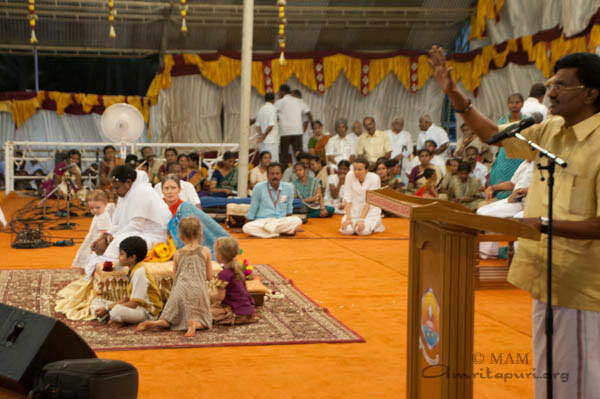 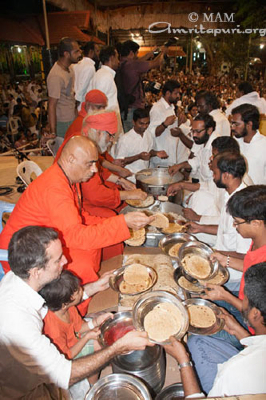 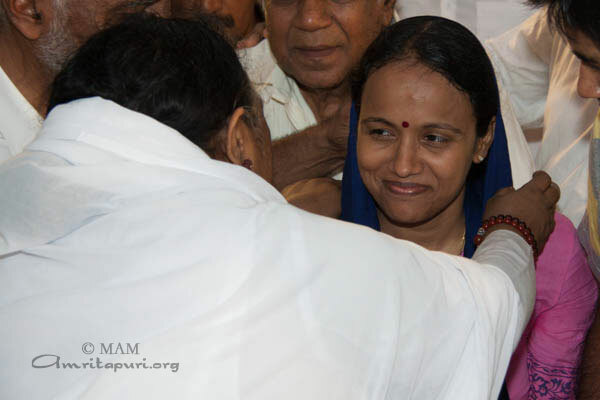 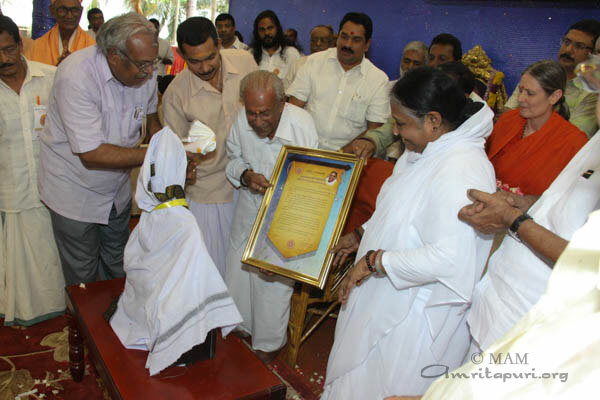 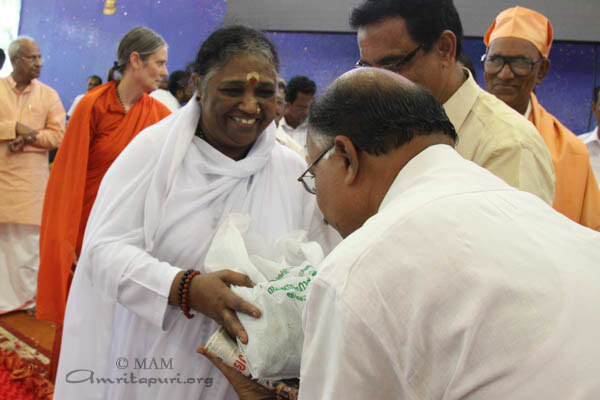 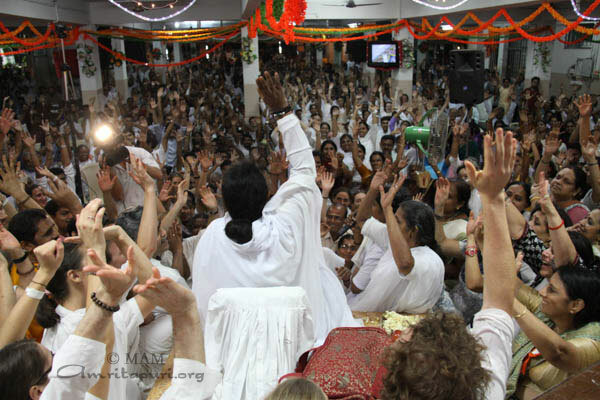 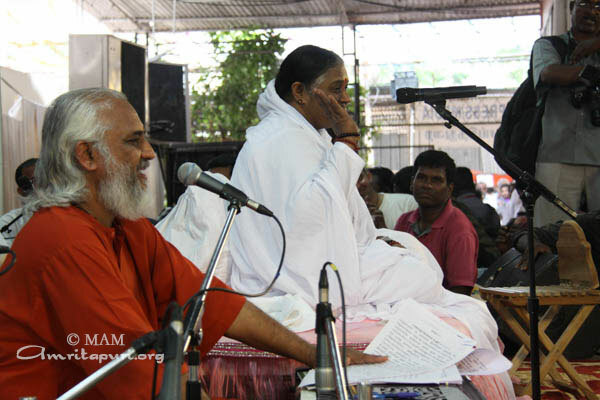 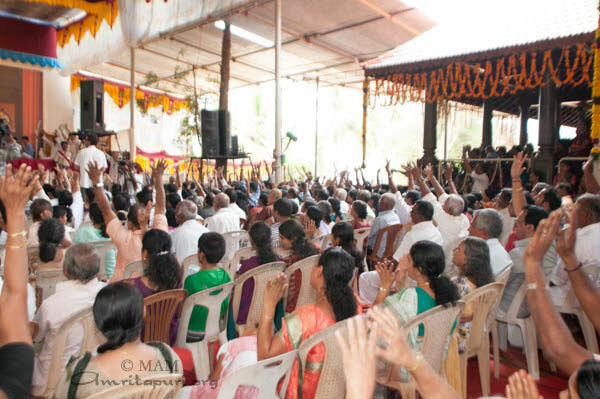 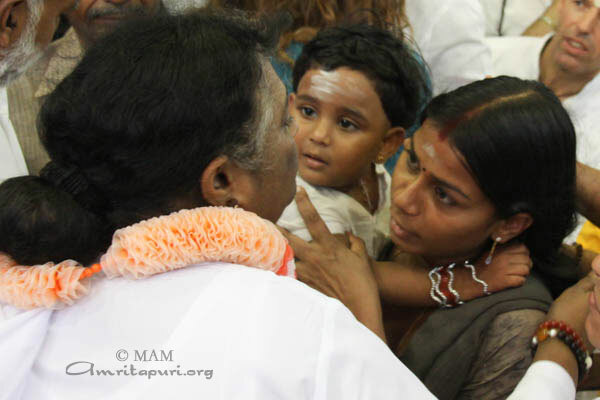 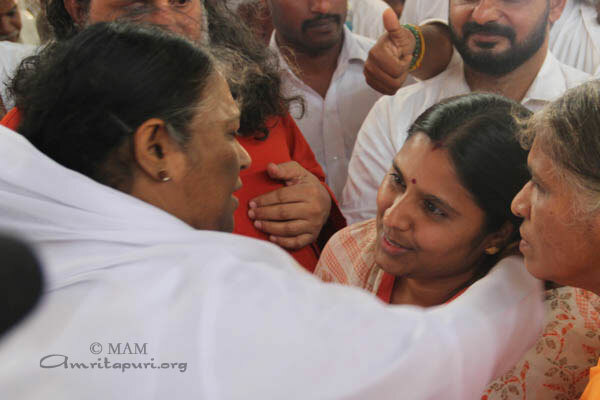 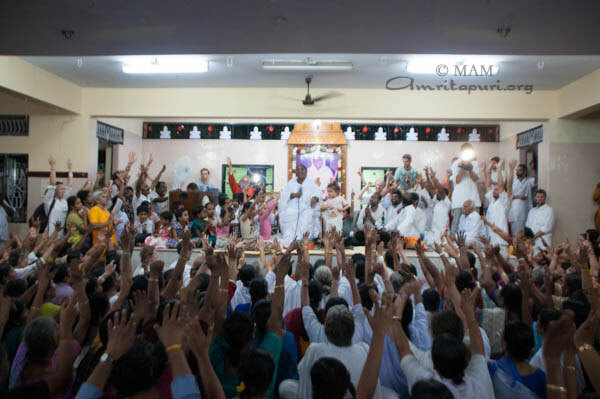 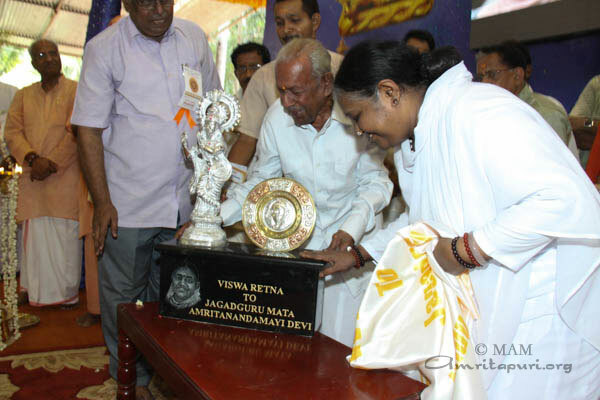 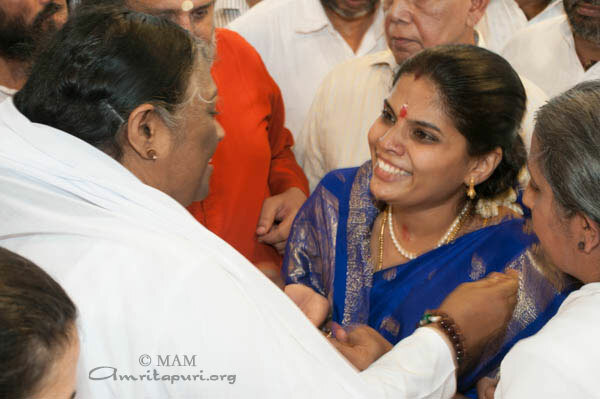 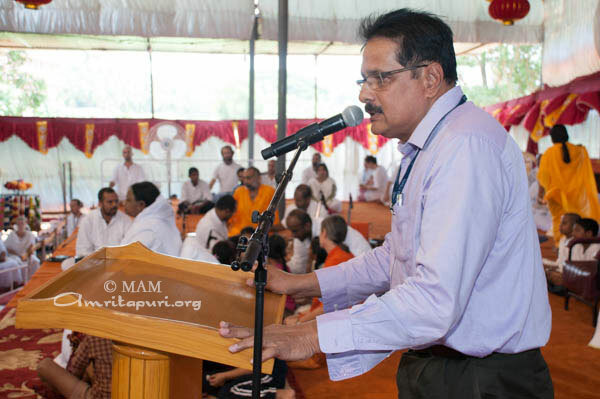 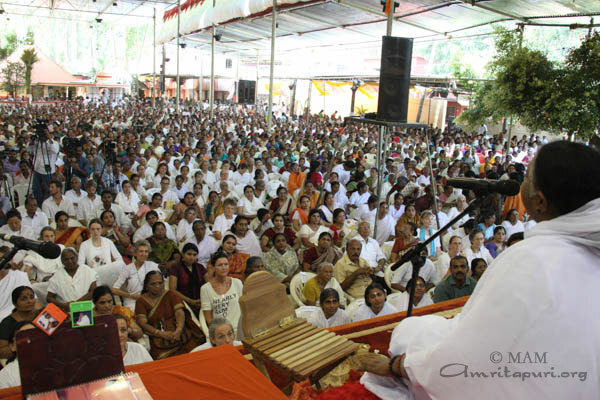 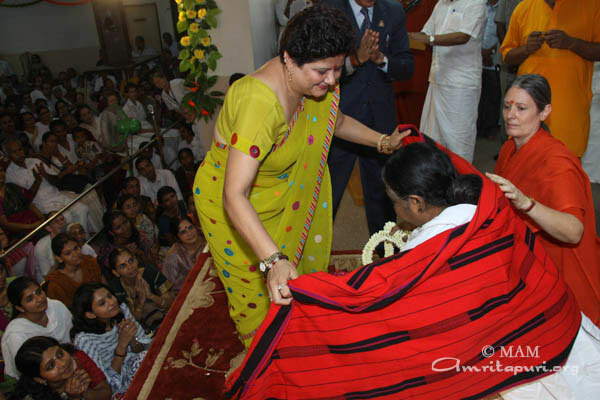 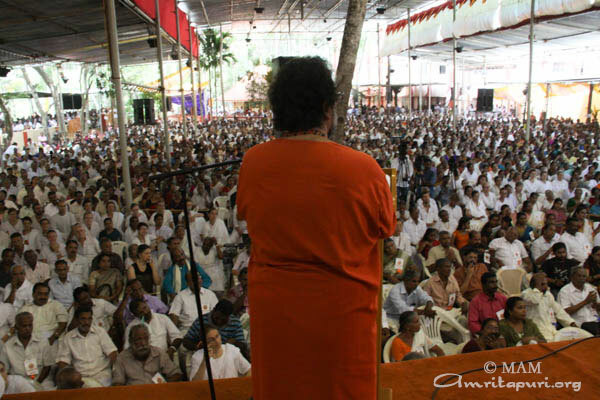 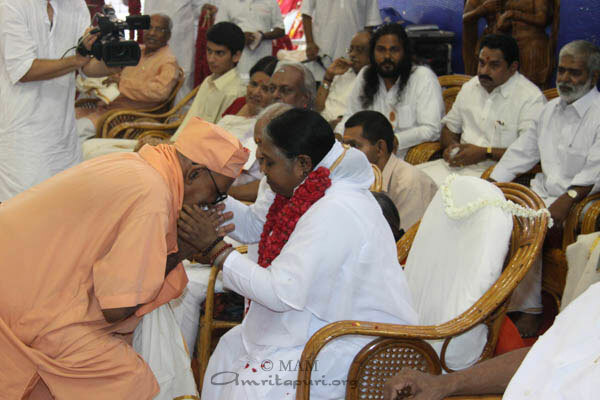 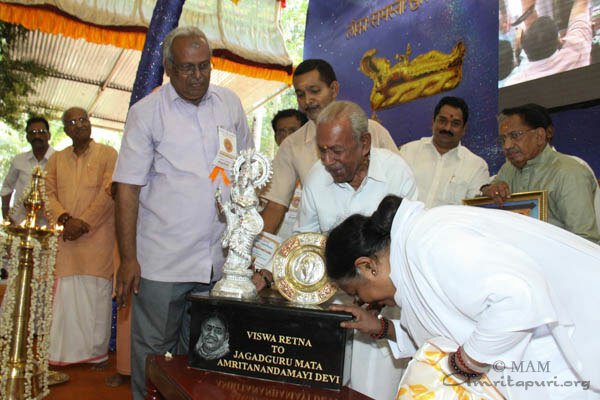 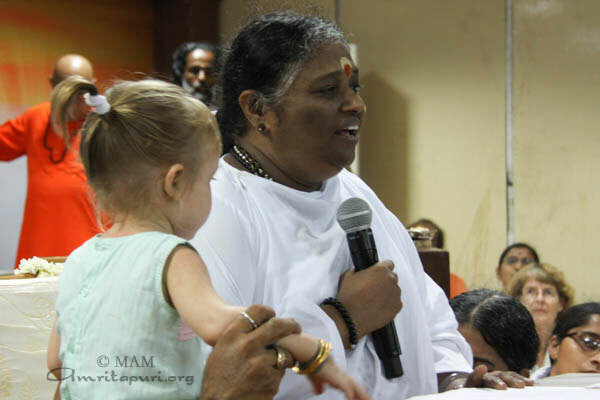 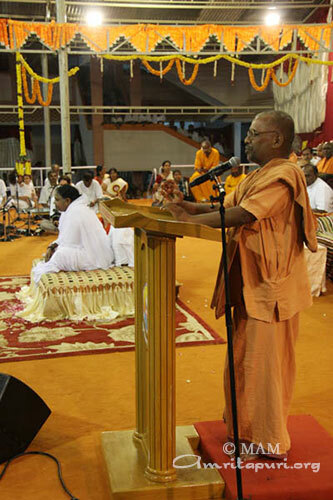 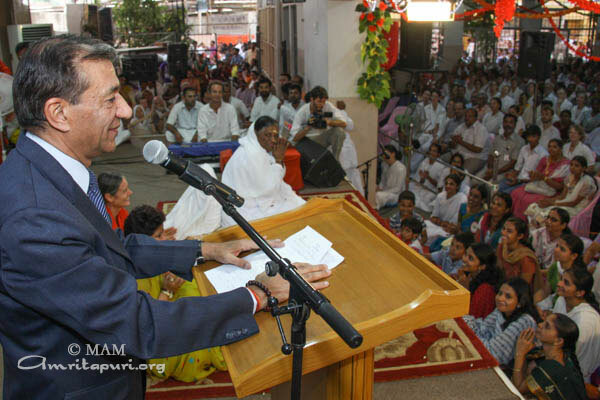 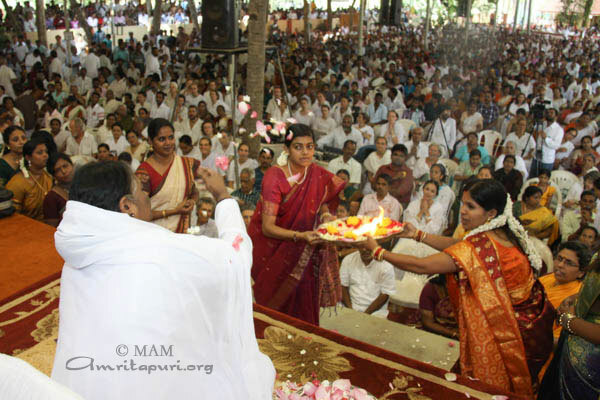 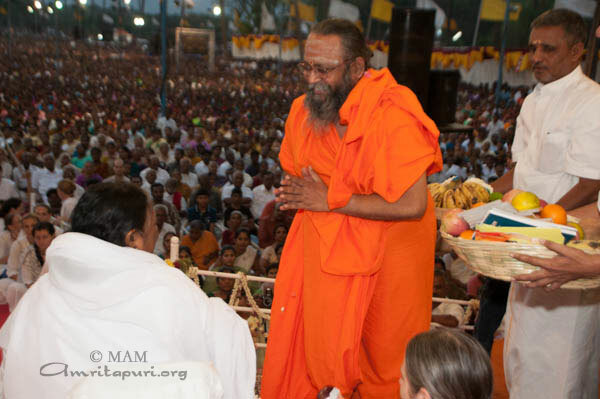 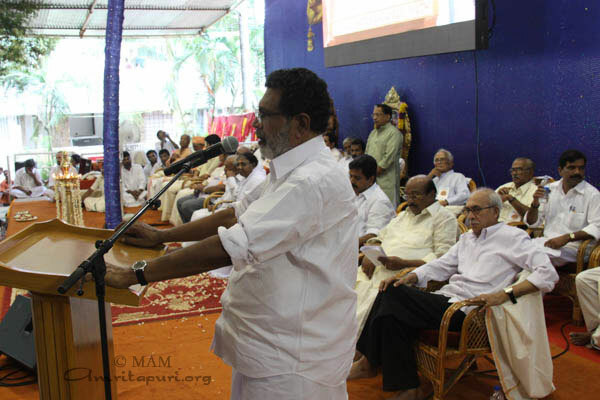 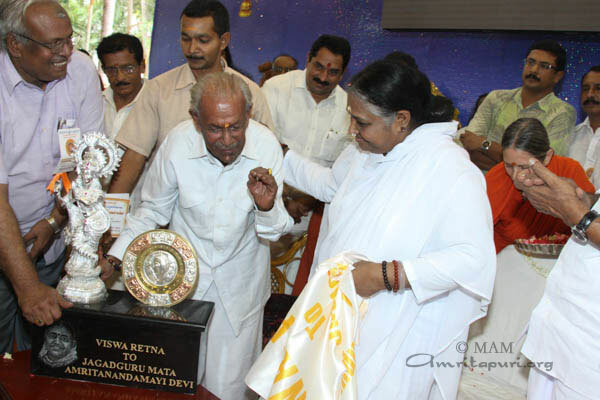 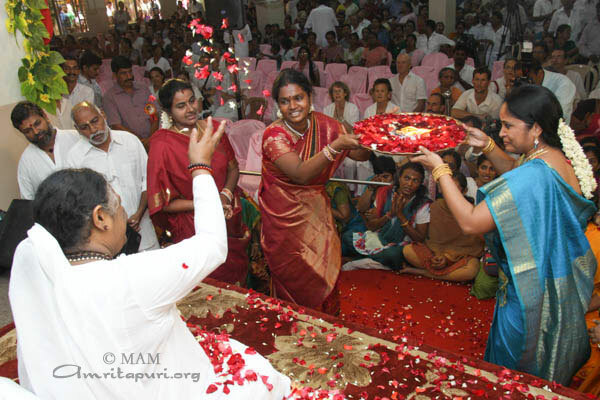 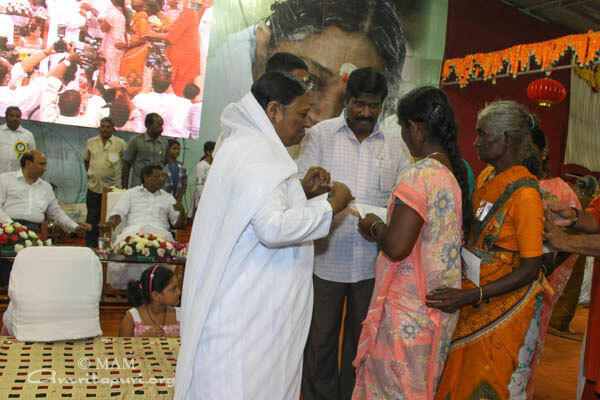 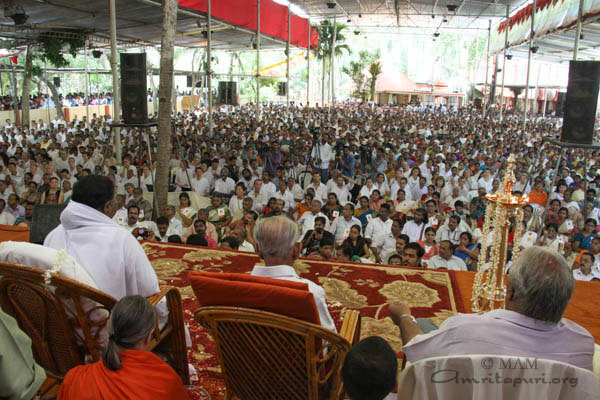 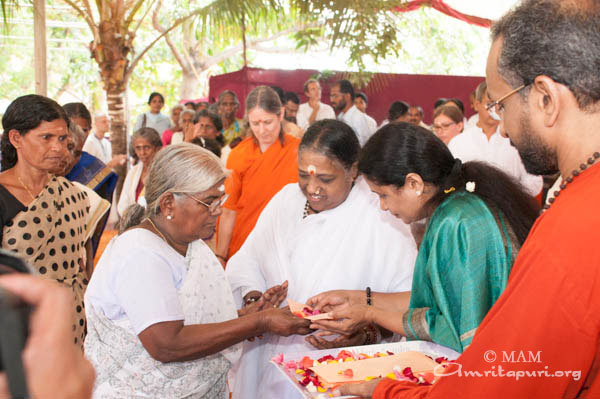 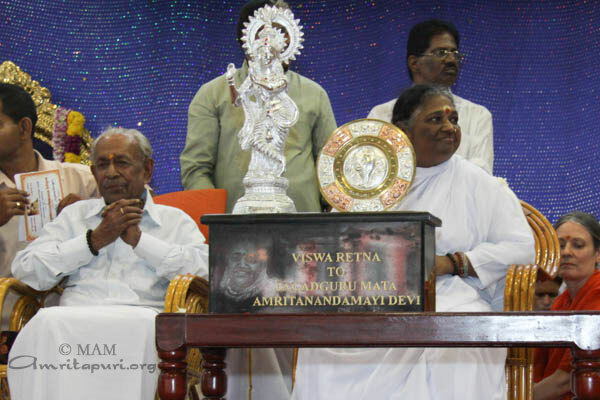 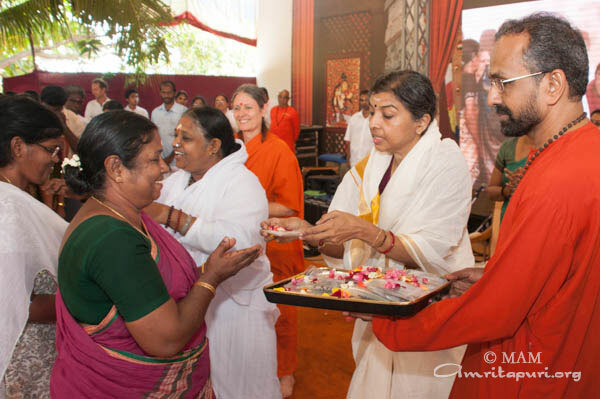 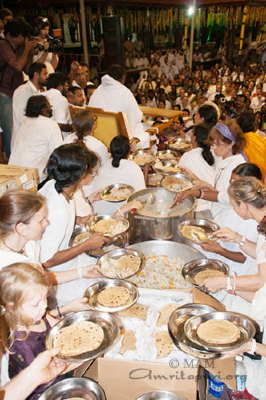 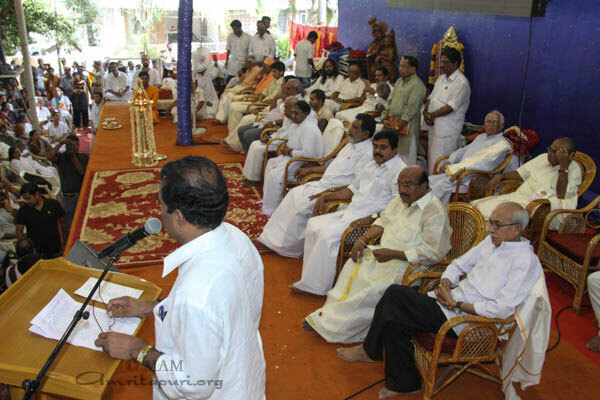 During the passing of the plates, Amma was talking to everyone on the microphone; giving advice and instructions. 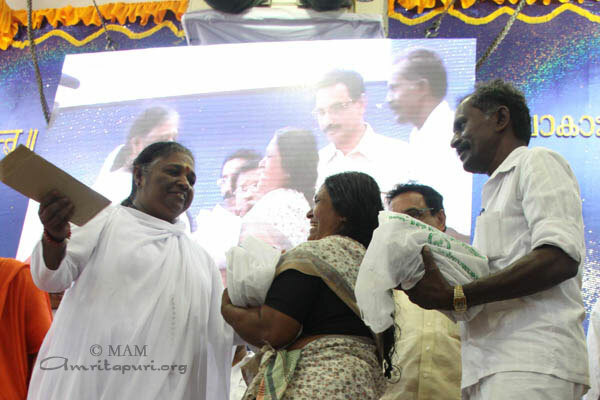 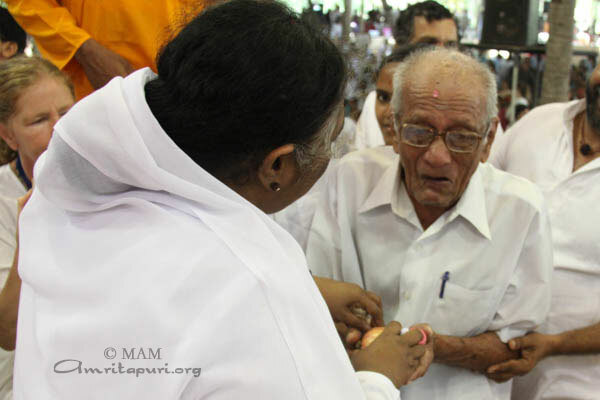 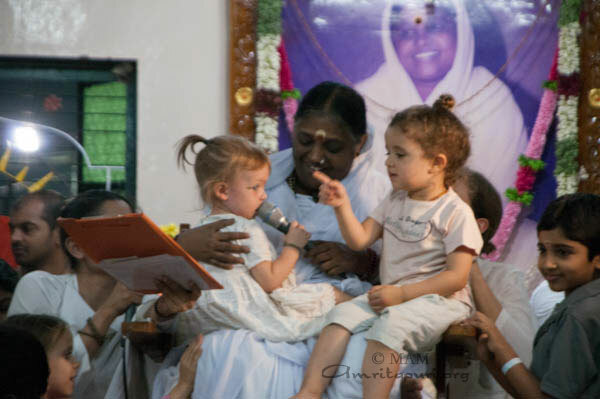 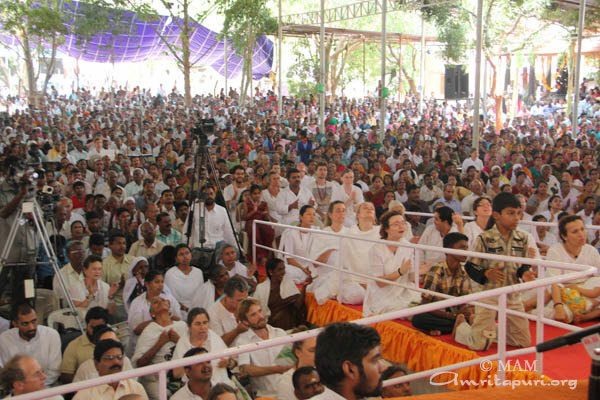 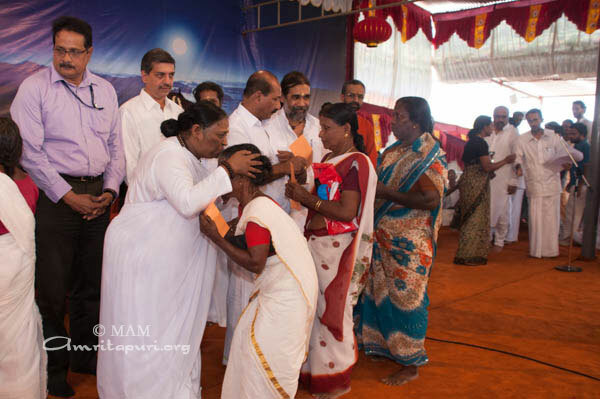 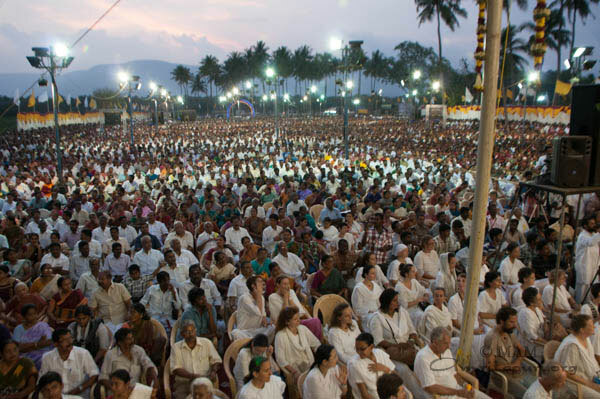 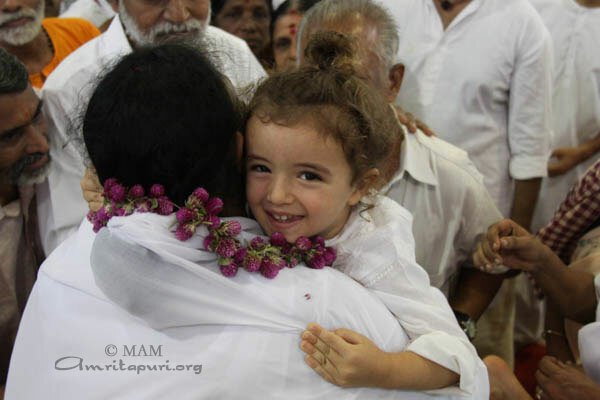 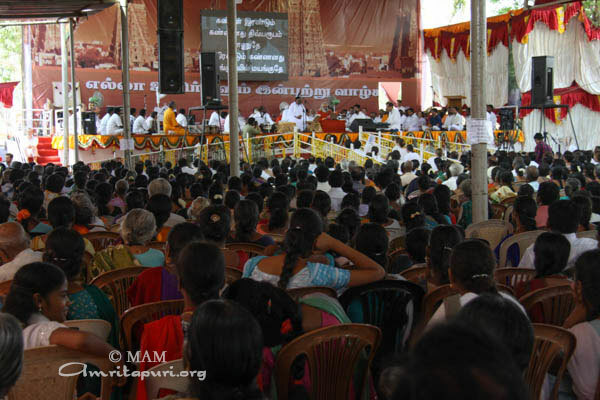 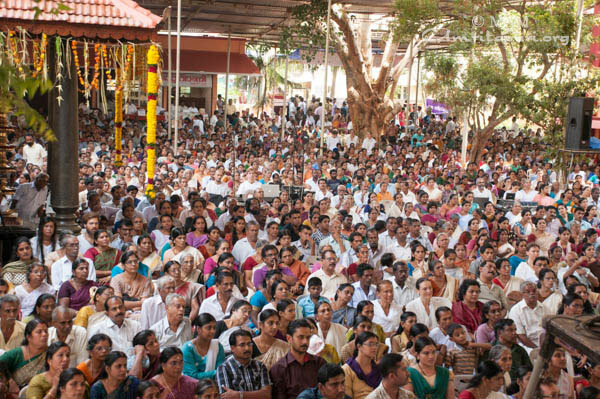 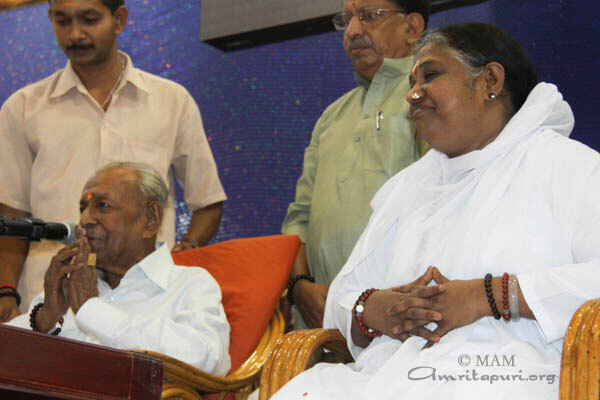 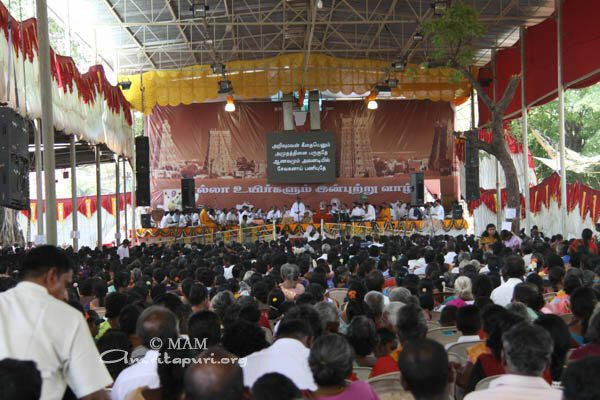 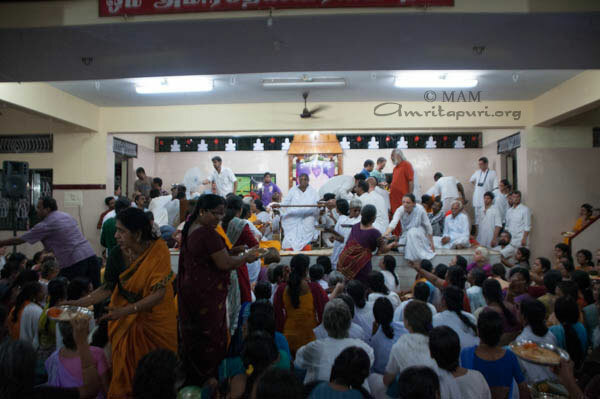 Thrilled by Amma’s generous love and caring, when she invited them to share their feelings over the microphone, the devotees expressed their devotion through beautiful words of gratitude. 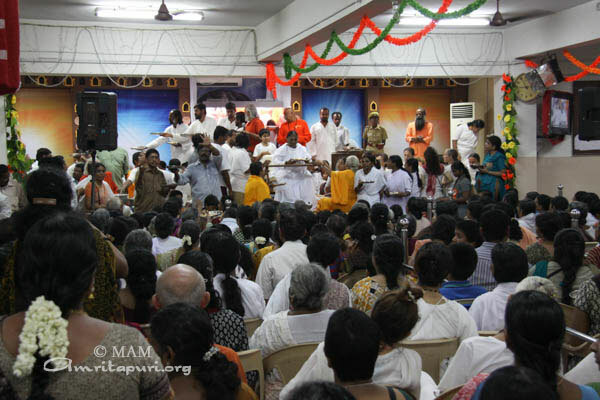 After the prasad dinner, Amma led everyone in singing heartfelt bhajans.